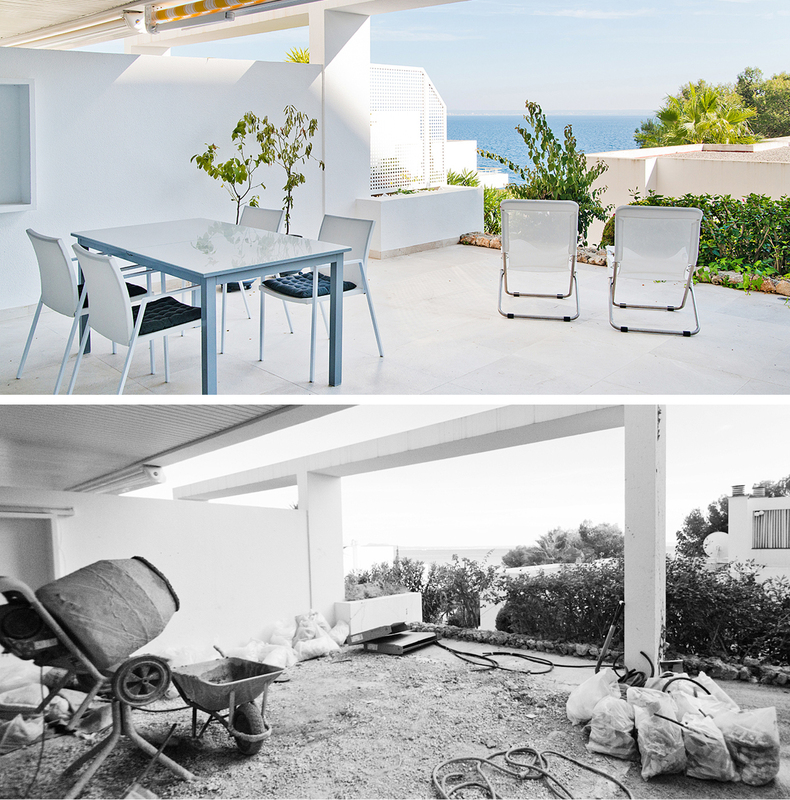 A home more or less always need some work when it changes owner. Small or big, we have the right connections with skilled experts in all areas. 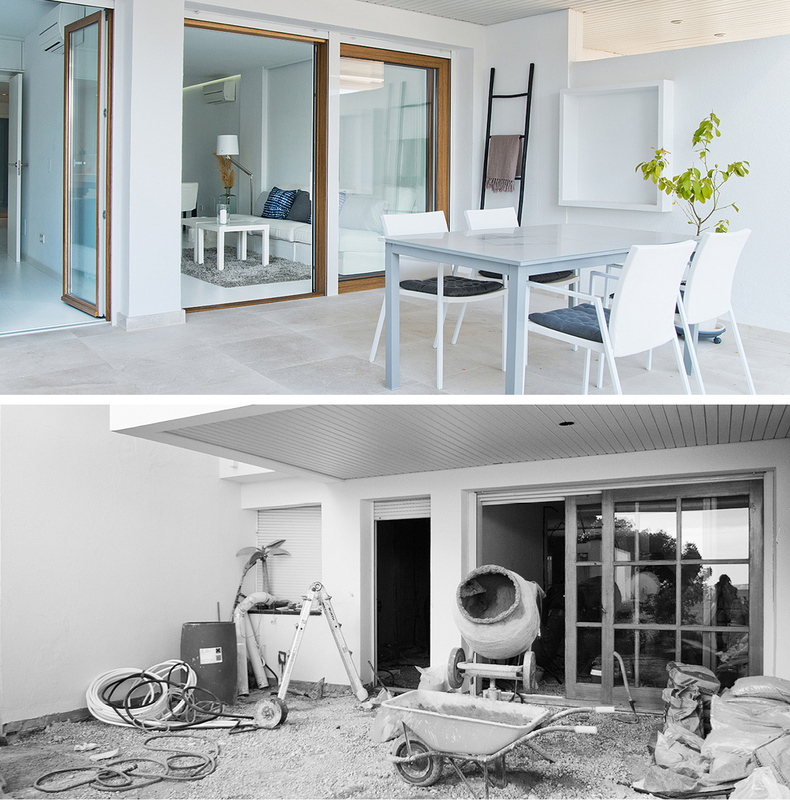 We also provide the service of managing the rebuild to make sure the goals are set regarding quality, time plan, budget and end-result. This ground floor two-bedroom apartment with terrace was completely reformed with new flooring, walls, lighting, custom-made kitchen, custom-made wardrobes, custom-made bathrooms, windows, pipes and electricity. 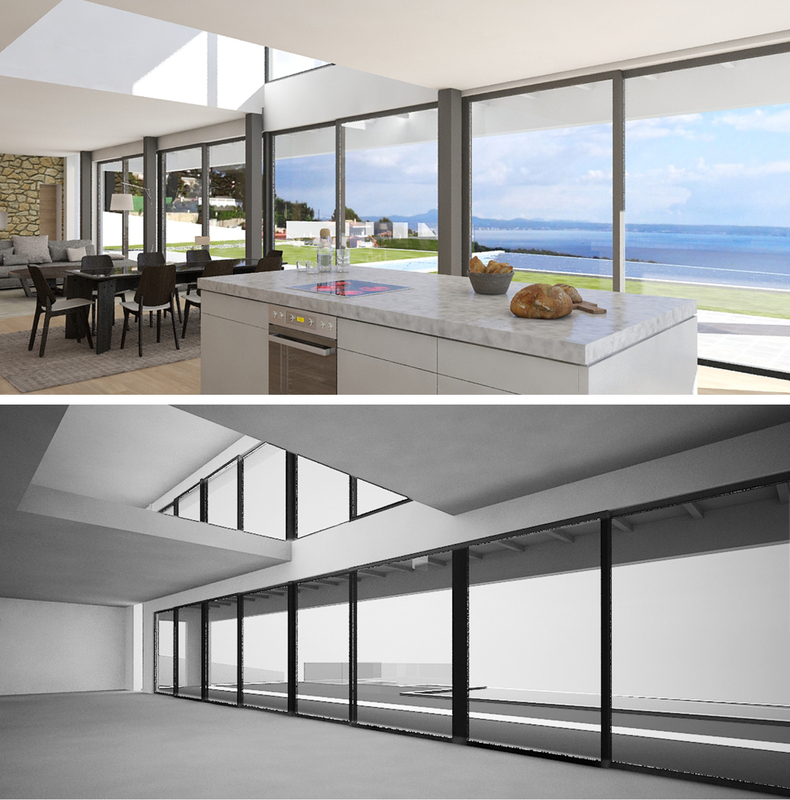 The layout has been partly changed to accomplish an open planned kitchen and living room. The result is a bright, modern and open apartment where the 88 square meters have been very well utilised. 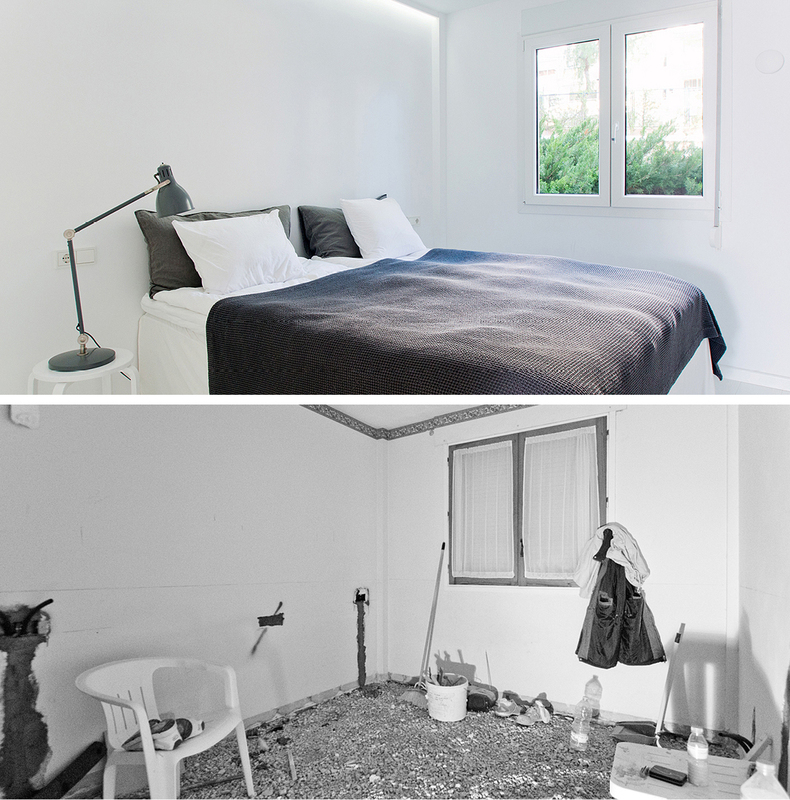 This 97 m2 apartment with a terrace has undergone a complete reform where a built in terrace was transformed into a bedroom and a laundry / storage room. 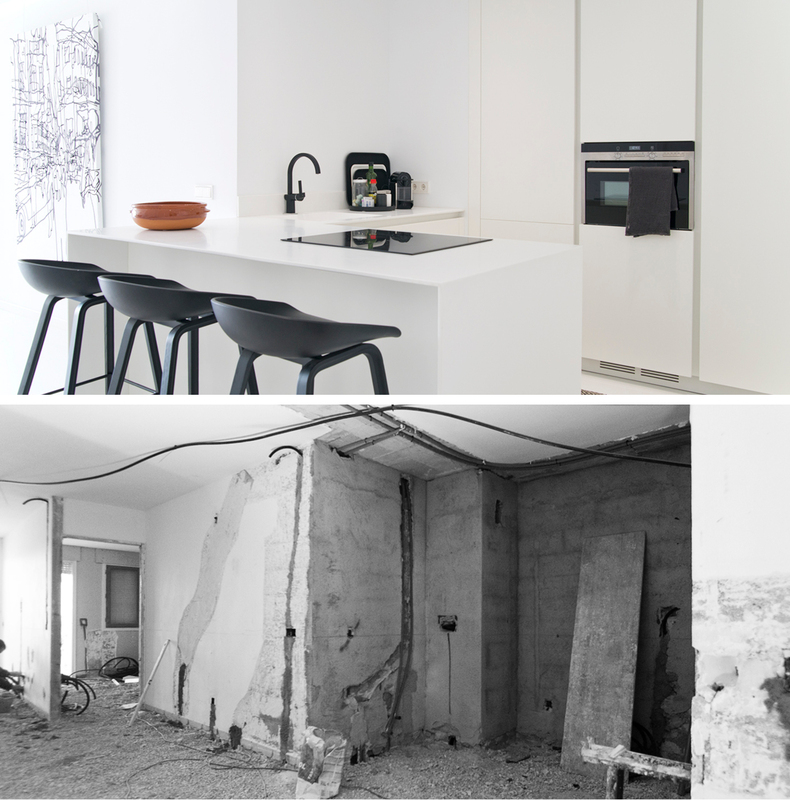 The walls around the kitchen were removed to get a more open layout and to get more light in. This is now a modern Scandinavian style apartment with a large living room with an open kitchen and dining as well as access to the partly covered terrace. 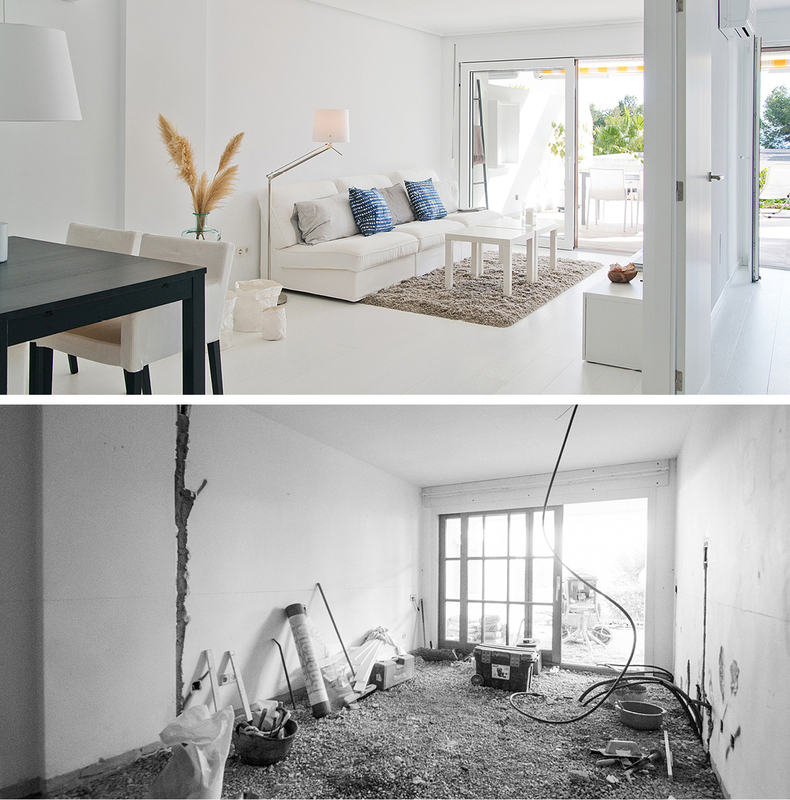 This apartment was last renovated sometime during the 70s, so the transformation from brown and dark to white and light is enormous. 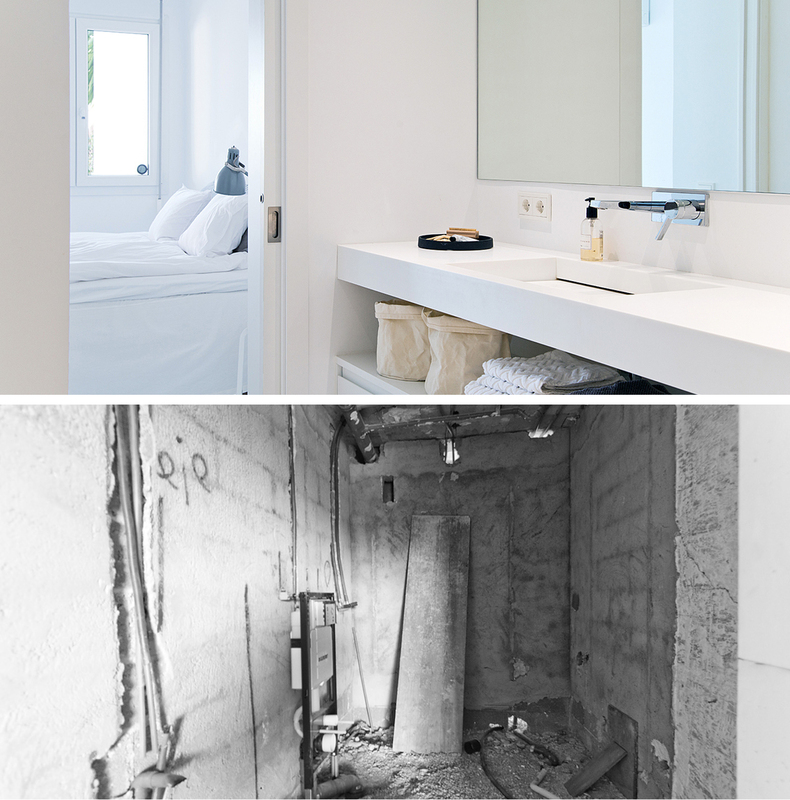 It underwent a complete renovation down to every detail, where everything was renewed. 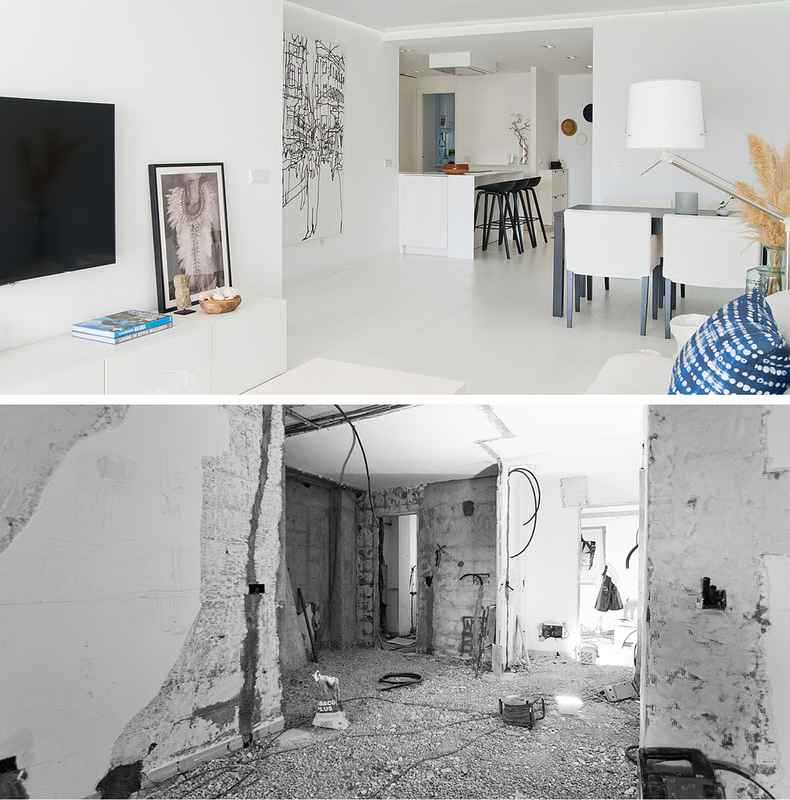 To accomplish an open-planned kitchen, dining and living room, one wall was removed and another one was opened up. 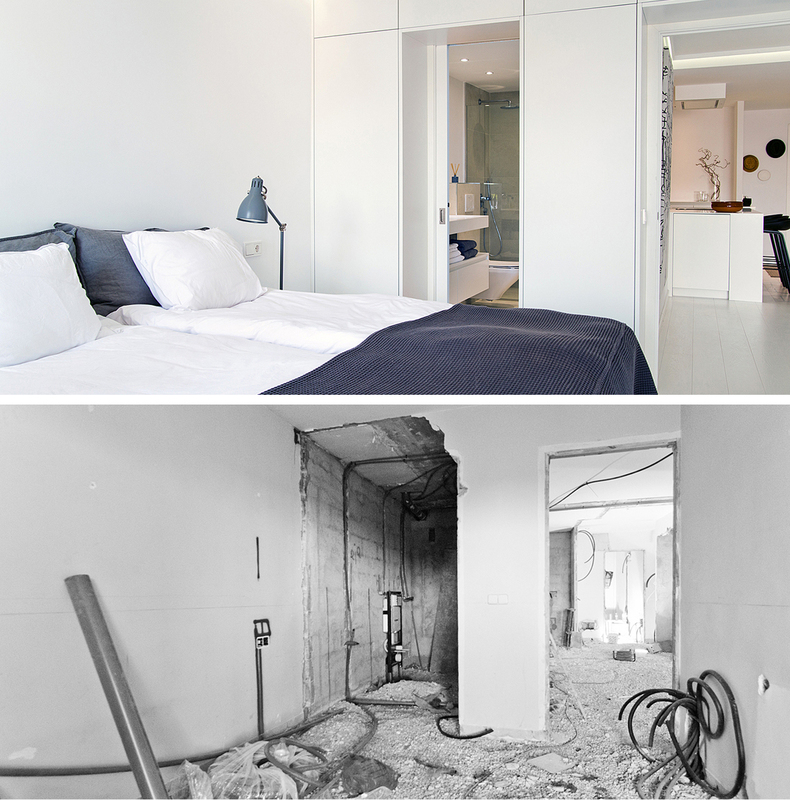 The renovation of this apartment started and finished in the spring of 2104. 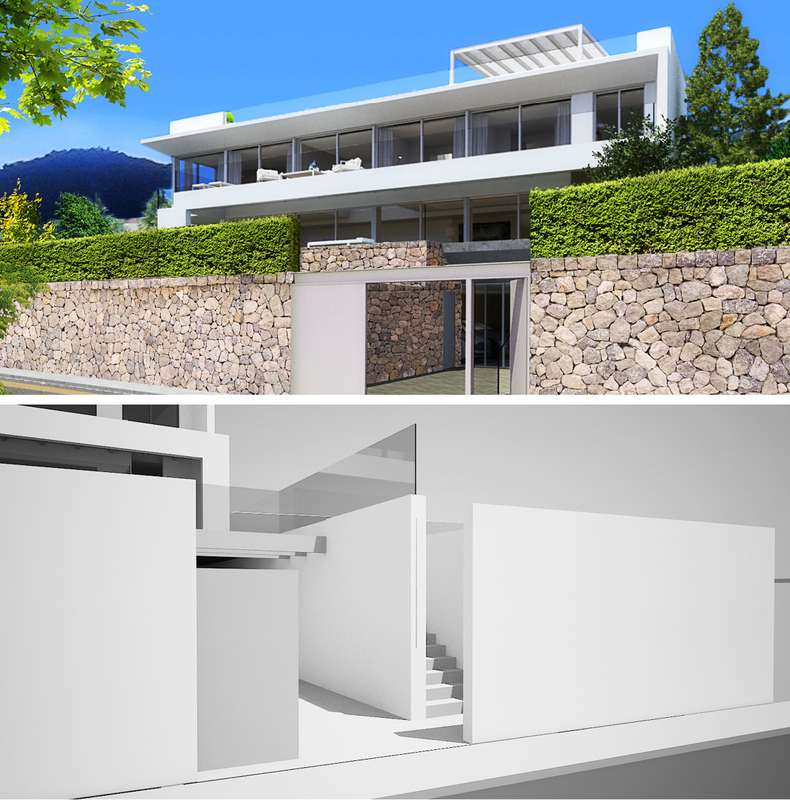 This front line apartment with a large terrace was initially two small apartments joined into one. The layout has therefor changed completely and was transformed into a modern and open living space with a fitted kitchen and living room, three full size bedrooms with fitted wardrobes and two spacious bathrooms. 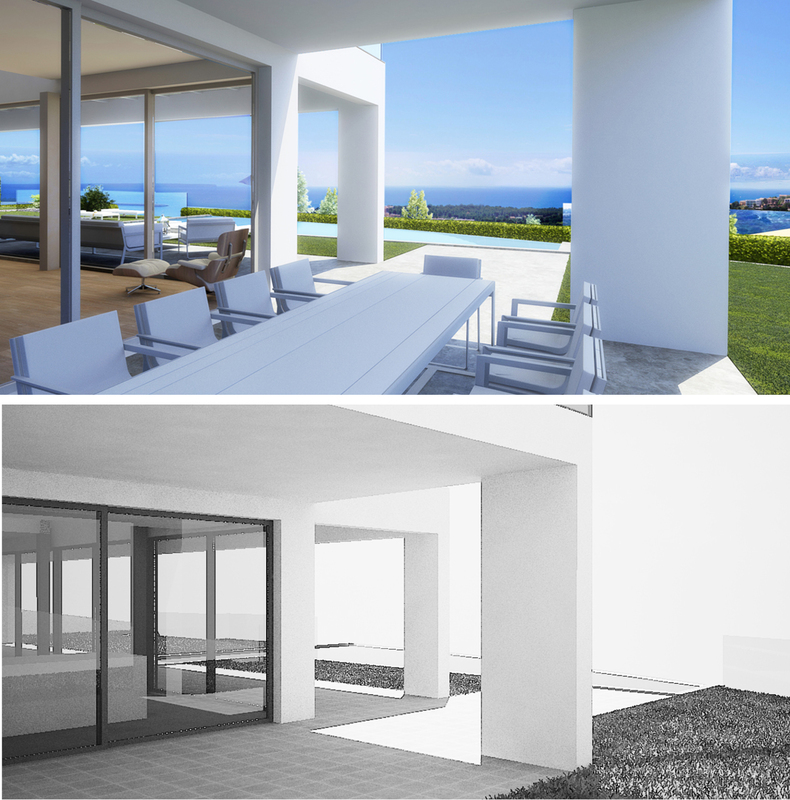 The result is a bright and open home with full connection to the Mediterranean sea. 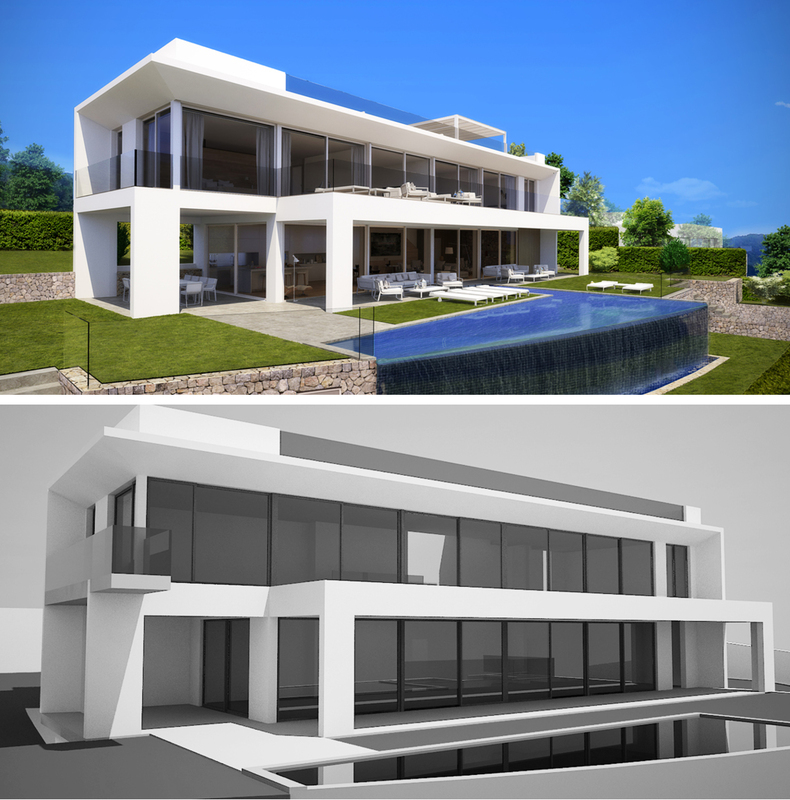 This contemporary arhictecture villa is located in the hills of Costa d'en Blanes with an amazing sea view. 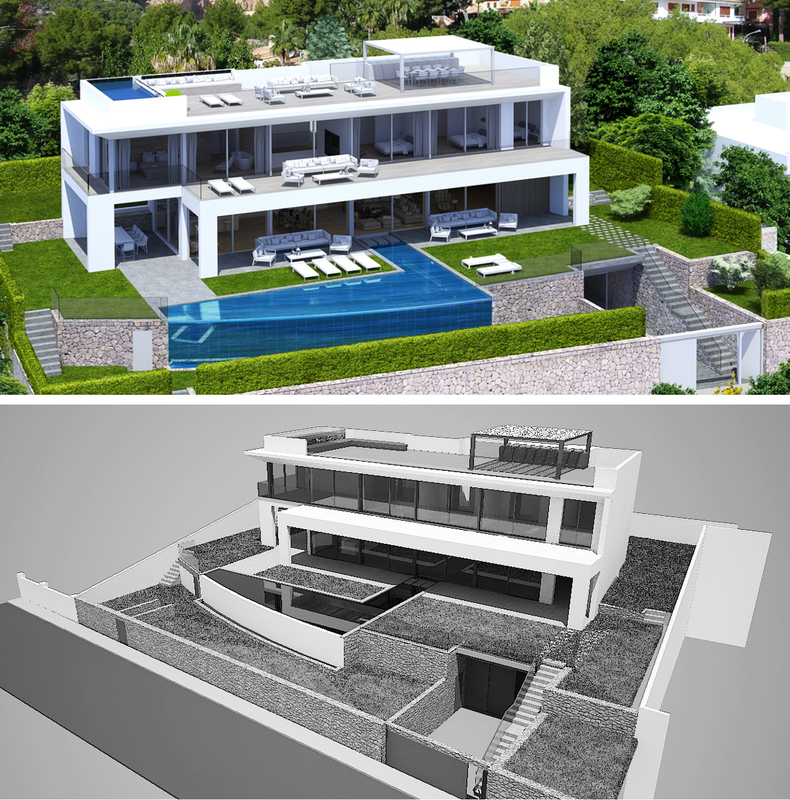 It has a spectacular infinity pool, multiple terraces and a roof terrace with a pool and breathtaking views. 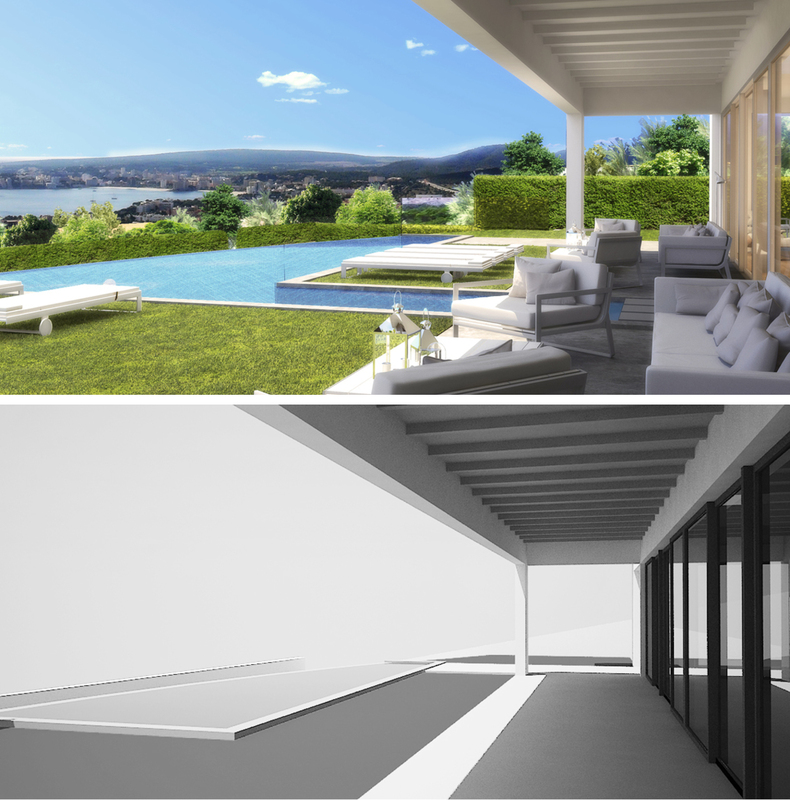 The living area of 528 m2 is divided over 4 bedrooms with bathrooms en-suite, guest toilet, open living room with kitchen and dining, outdoor kitchen, guest apartment, cinema room/office, wine cellar, garage and elevator to connect the floors. 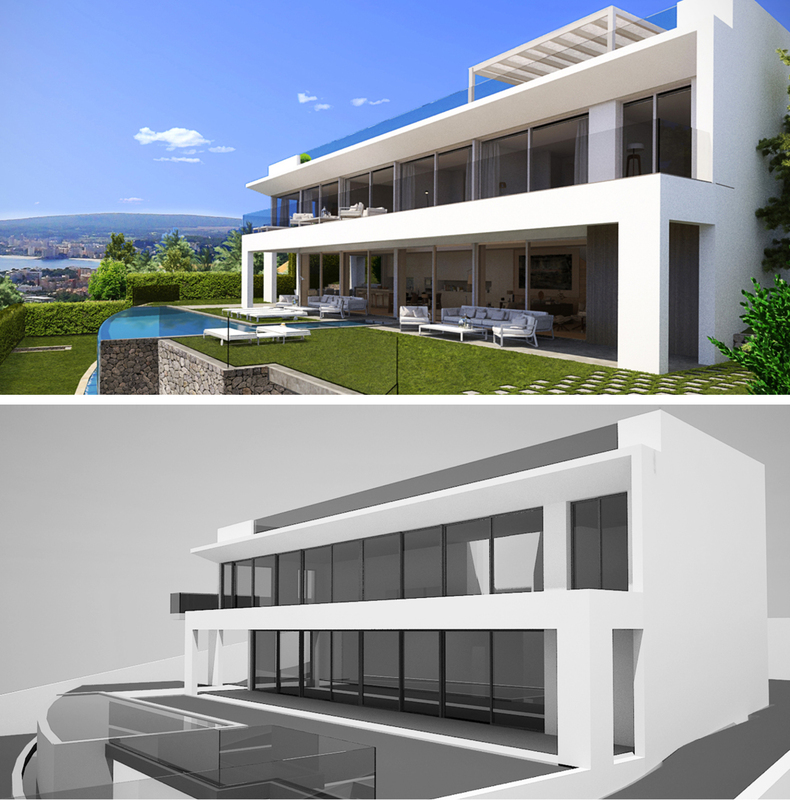 The villa is designed by the prestigious mallorquin architect Miguel Arenas and it is built with highest quality materials only.